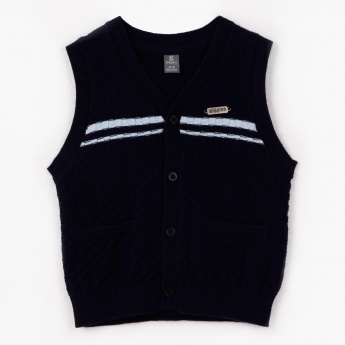 Keep your kid cosy and warm with this trendy sleeveless cardigan. 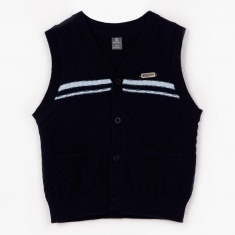 Designed with knitted stripes at the chest and back, it exudes a delightful appeal. It Sports front buttons to offer easy wearing.